Dave Hanron - The Business Outsource Guy: Product or Technique? The "Roadmap to Success"
Product or Technique? The "Roadmap to Success"
In the world of Channel sales, just about every independent sales Agent operates with multiple products in their sales kit. Regardless of your industry, the product set will typically range from entry level services to the most cutting edge technology available, paired with everything in between. So how does the Channel Sales executive convince the Agent to sell their product over someone else's? 2. Support – Support from the Channel team also plays a critical role in the Agent’s decision on who’s product to sell on a regular basis. If the sales support on Widget A is better than that received on Widget B, easy decision. It becomes complicated when Widget B provides exceptional support while the sales team support on Widget A is less reliable or even non-existent. The extra sales support makes Widget B easier to sell, and becomes a viable option as you should close more sales with Widget B, offsetting the lower residiual number vs. Widget A. 3. Customer first – We hope every Agent sells with the best interest of their customers in mind but we know that is not necessarily the case. Many times the products are driven by Factor #1 (residual Income) rather than customer needs. It’s unfortunate, but it’s reality. 4. Training – the amount of training provided by a Channel team can be critical in persuading an Agent to choose one supplier over another. If you take the time to visit your agents, train them on the latest product offering your company has, and arm them with customer success stories and references, it helps build confidence in your business model and will drive more opportunities your way. So with all these factors plus many more in play, is it best to confront the factors head-on or try another proven method to drive business? IMO, accepting the fact that your Agents are going to sell other companies’ (even your competition) products is the first step to being successful in the Channel. Trying to convince them to do otherwise simply doesn't work. Once you understand the model, how you adapt your business model to the competition is critical. 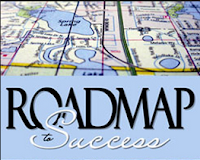 I have found developing a “Road map to Success” by using your product and illustrating how the Agent can add your product line to every potential sales opportunity they come across is the quickest and easiest way to grow business with your Agents. By developing and training your Agents on a technique to put your offering in front of every prospect, you will see more interaction and more sales revenues. The key is to differentiate your product by highlighting your advantages over your competition and illustrating why only your product will fit the “Roadmap to Success”, close sales quickly, and make more money. 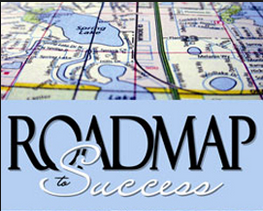 To learn more about my “Road map to Success” and how I have successfully driven more business by integrating a “Road map” approach, drop me a note at dave@davehanron.com. Happy to share my thoughts. “Dave Hanron” you are a great person available for help regarding these problems as you mentioned here every time. I respect your honor and dedication for this reason because these problems are difficult to manage with https://www.essayuniverse.net/essayvikings-review/ but as you mentioned that you are in this business for more than 25 years. So I like this blog just for it. For a small business to grow into a big business, it needs a loan unless it has exceptional sales and profit margins. A small business owner has quite a few places where he/she can go with a loan request.